Streamed on Twitch, can be viewed below. Had to restart the stream during it to try and fix frame drops (it didn't work) so it's in two parts. If you require proof I can link you to my facebook page with images of the completion screens, however I don't have video as my DVD recorder is in the mail. What items are you skipping to only have 25% ss and 23% segmented? That's it. Power Grip, Ice Beam, etc are all obvious. This means I have 40 missiles (39 for Mother Brain's lair) and 6 supers to use on Mother Brain's eye. I collect nothing in Chozodia. Have there been routing changes recently? It seems like every runner I know gets 28% nowadays. I thought this was just because of everyone's tendency to do SS runs on twitch for RTA, which in my understanding is more lenient so you can grab safeties and such (The energy tank before Ridley comes to mind). For SS, I would always grab 50/6. It means you can go either 50/4 or 40/6 for the last part of Tourian, making it significantly easier to get a run going. If you're doing a 40/6 route, I would recommend skipping either the Hive room tank or the Plasma beam tank instead of the one in the Norfair shaft. You only need 30/4 to kill Ridley, even though that means you can't miss anything, and coupled with the low health that might actually make Ridley sort of difficult. But it's segmented so whatever :P.
Otherwise that does seem like the optimal segmented route. Not sure about going with only 1 e-tank for SS, grabbing the one after Ridley is about as fast as grabbing an item gets and the refill should help with ammo drops. But if it's working for you then go for it. Those are good times though, I guess some people are excited to have someone care about any% for once ;). If you're doing a 40/6 route, I would recommend skipping either the Hive room tank or the Plasma beam tank instead of the one in the Norfair shaft. You only need 30/4 to kill Ridley, even though that means you can't miss anything, and coupled with the low health that might actually make Ridley sort of difficult. But it's segmented so whatever :P. Otherwise that does seem like the optimal segmented route. Not sure about going with only 1 e-tank for SS, grabbing the one after Ridley is about as fast as grabbing an item gets and the refill should help with ammo drops. But if it's working for you then go for it. Those are good times though, I guess [i]some[/i] people are excited to have someone care about any% for once ;). I truly believe you shouldn't skip the Hive room tank. It makes Hive itself much easier and it requires less luck in general, either due to not needing 5 missiles for the hives or luck with bugs on your way back and the required ammo. By carefully picking up missile drops while you go, it's even possible to skip the Ice heal if you're super lucky. The first segment is, aside from Tourian, the hardest segment to truly perfect, I like to think. There are just a lot of things that can go awry. The thing about skipping Plasma tank is that you might end up with a low amount of missiles for Imago and part of Ridley and if you go for really good segmented times, it's better to save at the save before Imago. A perfect Imago fight means no refilling at all (or maybe one drop?). "Have there been routing changes recently? It seems like every runner I know gets 28% nowadays. I thought this was just because of everyone's tendency to do SS runs on twitch for RTA, which in my understanding is more lenient so you can grab safeties and such (The energy tank before Ridley comes to mind)." No one except for Mobius actually cares about RTA. RTA is probably less lenient though since it's probably best to go without Charge Beam. That being said, I am not sure I know any runner that gets 28% on purpose. 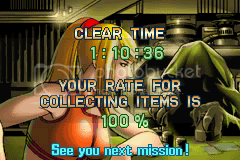 Spidey and I get 26% in single segment runs, and if I cared about segmented I suppose I would go for 24%. I kind of want to talk a little more about RTA vs. game time some day, but I don't think this is the topic for it >_>;. "but since they only waste ~5sec per"
Missiles take 3 seconds to get =P. In an ideal single segment run 40/6 might work with perfect luck, but I doubt it would happen because of the luck needed to get it to be faster both in Tourian and the Ridley to Tourian section in general. I even opted to get 45/6 in my 25:26 'theory' tas because it's really difficult to get a proper amount of missiles in order to go through rooms in the quickest way. Going with 45/6 is still problematic anyway since it requires really good luck for it to be faster, and Tourian is hardly ever going to be ideal in a single segment run. "If you're doing a 40/6 route, I would recommend skipping either the Hive room tank or the Plasma beam tank instead of the one in the Norfair shaft." That's tricky because it makes skipping the heal in Norfair that much more difficult to do. "Have there been routing changes recently? It seems like every runner I know gets 28% nowadays. I thought this was just because of everyone's tendency to do SS runs on twitch for RTA, which in my understanding is more lenient so you can grab safeties and such (The energy tank before Ridley comes to mind)." No one except for Mobius actually cares about RTA. RTA is probably less lenient though since it's probably best to go without Charge Beam. That being said, I am not sure I know any runner that gets 28% on purpose. Spidey and I get 26% in single segment runs, and if I cared about segmented I suppose I would go for 24%. I kind of want to talk a little more about RTA vs. game time some day, but I don't think this is the topic for it >_>;. "but since they only waste ~5sec per" Missiles take 3 seconds to get =P. In an ideal single segment run 40/6 might work with perfect luck, but I doubt it would happen because of the luck needed to get it to be faster both in Tourian and the Ridley to Tourian section in general. I even opted to get 45/6 in my 25:26 'theory' tas because it's really difficult to get a proper amount of missiles in order to go through rooms in the quickest way. Going with 45/6 is still problematic anyway since it requires really good luck for it to be faster, and Tourian is hardly ever going to be ideal in a single segment run. "If you're doing a 40/6 route, I would recommend skipping either the Hive room tank or the Plasma beam tank instead of the one in the Norfair shaft." That's tricky because it makes skipping the heal in Norfair that much more difficult to do. About missiles, I've thought a lot about that missile tank in the ascent out of Norfair, since it's just basically a power grip away. However, if you get the "maximum" fast missiles for first segment (allowing for ice beam recharge skip, which I played around with, but it requires such god luck), you have 30 in Ridley to begin with, and the one in the tall room with the pillar essentially is free and gets you to 35 for Ridley, and then what else is there to do? Of course, since I don't do ice beam recharge skip anyway (though I toy with that pesky little recharge glitch) there may be a faster route with getting less missiles in the first segment. Maybe skip the hive missiles and grab the missiles climbing out of Norfair as you suggested, Dragonfangs? On that note, does anybody know about the best time for that first save room before Imago? I know spidey's WR has a 6:35, but I bet somebody has gotten faster than that by now. Also, on the Imago cocoon fight (seemingly the hardest part of the run now to optimize for me) I know you can triple shot. In the WR video by spidey, he shoots the left-most tentacle out, then wall-jumps up to shoot twice at the second tentacle, goes over to the ripper and shoots out the right side, then does two more wall-jump double shots to finish Imago off. Shoot the leftmost tentacle out from the ground, wall jump up, and shoot out the 2nd left one with a triple shot, go over, freeze the ripper and take out the right tentacles. Finish off with a last triple shot to the left side. Shoot the left and rightmost tentacles out from the ground, freeze the ripper as soon as possible, and finish off the right side, then do two wall jumps to take out the rest of the left. My guess is that I'm wrong on both counts. 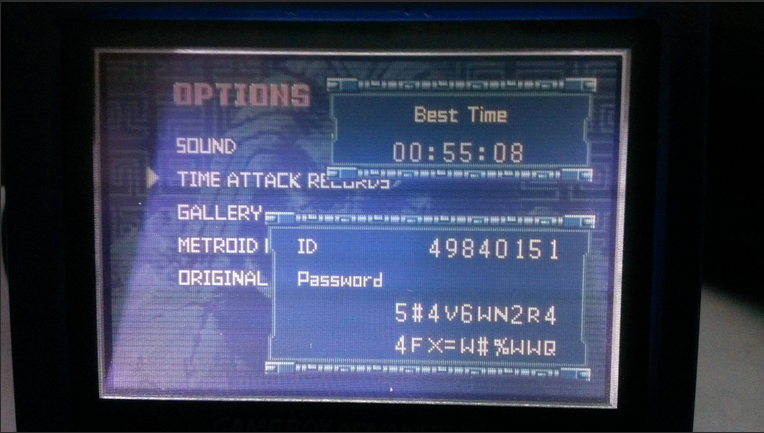 About the energy tank in Ridley, I feel like even though it's basically a null time loss that guarantees a run will survive (unless you have a stroke mid-play), I relish the challenge ;) About missiles, I've thought a lot about that missile tank in the ascent out of Norfair, since it's just basically a power grip away. However, if you get the "maximum" fast missiles for first segment (allowing for ice beam recharge skip, which I played around with, but it requires such god luck), you have 30 in Ridley to begin with, and the one in the tall room with the pillar essentially is free and gets you to 35 for Ridley, and then what else is there to do? Of course, since I don't do ice beam recharge skip anyway (though I toy with that pesky little recharge glitch) there may be a faster route with getting less missiles in the first segment. Maybe skip the hive missiles and grab the missiles climbing out of Norfair as you suggested, Dragonfangs? On that note, does anybody know about the best time for that first save room before Imago? I know spidey's WR has a 6:35, but I bet somebody has gotten faster than that by now. I plan to try to get a sub 28 segmented (should be easily possible) and the same SS, then try for 100%... Maybe some hard? I don't know anything about hard any% though, because for some reason my computer can't handle the SDA runs. Sam, I know you have the record. What's your route? I'm assuming Kraid first... Also, on the Imago cocoon fight (seemingly the hardest part of the run now to optimize for me) I know you can triple shot. In the WR video by spidey, he shoots the left-most tentacle out, then wall-jumps up to shoot twice at the second tentacle, goes over to the ripper and shoots out the right side, then does two more wall-jump double shots to finish Imago off. My best guesses at the optimal three-shot strategy are as follows: Method 1: Shoot the leftmost tentacle out from the ground, wall jump up, and shoot out the 2nd left one with a triple shot, go over, freeze the ripper and take out the right tentacles. Finish off with a last triple shot to the left side. Method 2: Shoot the left and rightmost tentacles out from the ground, freeze the ripper as soon as possible, and finish off the right side, then do two wall jumps to take out the rest of the left. My guess is that I'm wrong on both counts. Also, Sam, when you say you get 24% segmented, I'm assuming you mean that you get the energy tank after Ridley, correct? "About the energy tank in Ridley, I feel like even though it's basically a null time loss that guarantees a run will survive (unless you have a stroke mid-play), I relish the challenge ;)"
It's faster to get the energy tank if you would otherwise not use the fastest Ridley strategy. "On that note, does anybody know about the best time for that first save room before Imago? I know spidey's WR has a 6:35, but I bet somebody has gotten faster than that by now. " I've had a 6:32 before, but sub 6:30 is possible. "Also, Sam, when you say you get 24% segmented, I'm assuming you mean that you get the energy tank after Ridley, correct?" I get an extra missile tank in a segmented run. I don't need the extra energy if I reset enough at Ridley." "Maybe skip the hive missiles and grab the missiles climbing out of Norfair as you suggested, Dragonfangs?" It's very doubtful that skipping the hive room tank would save any time really.
" Sam, I know you have the record. What's your route? I'm assuming Kraid first..."
I have an any% normal Kraid first run recorded on twitch. It's the same route as that, but I collect brinstar super also. It's kraid first with high jump immediately after falling to the bottom of Norfair. "About the energy tank in Ridley, I feel like even though it's basically a null time loss that guarantees a run will survive (unless you have a stroke mid-play), I relish the challenge ;)" It's faster to get the energy tank if you would otherwise not use the fastest Ridley strategy. " "On that note, does anybody know about the best time for that first save room before Imago? I know spidey's WR has a 6:35, but I bet somebody has gotten faster than that by now. " I've had a 6:32 before, but sub 6:30 is possible. "Also, Sam, when you say you get 24% segmented, I'm assuming you mean that you get the energy tank after Ridley, correct?" I get an extra missile tank in a segmented run. I don't need the extra energy if I reset enough at Ridley." "Maybe skip the hive missiles and grab the missiles climbing out of Norfair as you suggested, Dragonfangs?" It's very doubtful that skipping the hive room tank would save any time really. " Sam, I know you have the record. What's your route? I'm assuming Kraid first..." I have an any% normal Kraid first run recorded on twitch. It's the same route as that, but I collect brinstar super also. It's kraid first with high jump immediately after falling to the bottom of Norfair. I mean you need to kill three hives anyway, if you had 5 going in, use all of them on the hives. Get 5 afterward, and you could have 5+ by the time you get back, since you need 1 for the secret blocks in norfair, if you had ~4 leaving bombs it would definitely be feasible. Sam, I assume you mean the energy tank behind the recharge station at Ridley. And by the fast strategy you mean running into him and shooting ~20 missiles at his chest, running into the wall, and shooting diagonally up until he dies? I mean you need to kill three hives anyway, if you had 5 going in, use all of them on the hives. Get 5 afterward, and you could have 5+ by the time you get back, since you need 1 for the secret blocks in norfair, if you had ~4 leaving bombs it would definitely be feasible. Though probably not optimal XD Sam, I assume you mean the energy tank behind the recharge station at Ridley. And by the fast strategy you mean running into him and shooting ~20 missiles at his chest, running into the wall, and shooting diagonally up until he dies? There are a few problems with not getting the hive room missile. There's the fact that you're going to take damage (a big problem if trying to skip the heal, but otherwise likely not a big deal), but also those missiles that need to be used against the hive later can also be used to kill a few enemies that you would otherwise have to get damaged through which is also a little slower. "Sam, I assume you mean the energy tank behind the recharge station at Ridley. And by the fast strategy you mean running into him and shooting ~20 missiles at his chest, etc, the one that spidey does?" I haven't watched a full spidey run since his 27:40 segmented run I think >_>;. It's a strategy where you tank shoot 3 supers then immediately go in and tank hits and kill him. It's possible to do that without the extra energy tank, but you don't have a lot of health left after, and Ridley probably won't give proper drops. This is especially irritating in single segment runs, but it was a huge problem for me when I went for sub 27 also. I don't think I've ever publicly posted my segmented time actually lol. There are a few problems with not getting the hive room missile. There's the fact that you're going to take damage (a big problem if trying to skip the heal, but otherwise likely not a big deal), but also those missiles that need to be used against the hive later can also be used to kill a few enemies that you would otherwise have to get damaged through which is also a little slower. "Sam, I assume you mean the energy tank behind the recharge station at Ridley. And by the fast strategy you mean running into him and shooting ~20 missiles at his chest, etc, the one that spidey does?" I haven't watched a full spidey run since his 27:40 segmented run I think >_>;. It's a strategy where you tank shoot 3 supers then immediately go in and tank hits and kill him. It's possible to do that without the extra energy tank, but you don't have a lot of health left after, and Ridley probably won't give proper drops. This is especially irritating in single segment runs, but it was a huge problem for me when I went for sub 27 also. I don't think I've ever publicly posted my segmented time actually lol. I shoot 3 supers for safety, but it is possible to do that, yeah. It's pretty difficult to kill him before he gets off the ground though. I've only managed it a few times I think. Because using only 3 means that you only need one super refill. I see. Segment 2 (Imago to Tourian) is where I need my most improvement so I need to catch up on all of these cool strategies... Thanks for the help sam! Oh no, I shoot the last super during the time where I damage boost him. Sorry for the confusion >_>;. Oh lol that makes much more sense! So after you damage boost him for awhile, he's usually not dead. Do you damage boost him until he goes up and then shoot from below him? Or do you go over to the right wall when you get low and shoot him when he goes up?